In a career spanning over twenty-five years, Mike has played double bass with some of the brightest performers in the jazz and avant-garde world; such internationally recognized musicians David Liebman, Chet Baker, Ritchie Beirach, David Binney, Don Thompson, Claude Ranger, Holly Cole and Sonny Greenwich. Mike has also performed and recorded with the Shuffle Demons, a group with a large following in Canada and Europe. He was a founding member of “Life on Mars”, who, in 1997, won first prize at an international jazz competition at the renown Vienne (France) Jazz Festival. Also In 1997, Mike recorded a critically acclaimed solo bass Cd “Solo Flights”. Mike studied double bass with Dave Holland and George Mraz. A guitarist for over 30 years, and a professional instructor for over 20, Wayne performs and records as a leader or sideman in many musical styles and ensembles. He has a music related BA, BA Hons, and MA degrees and is an Endorsing Artist for several instrument companies. Instructing in various styles, Wayne was the first to teach rock guitar in a Canadian University. He has been a Guitar Performance Instructor at Carleton University’s School for Studies in Art and Culture (SSAC: Music) since 1992. In addition to a busy private teaching schedule, he has performed in Jazz and Blues Festivals, university showcases, TV features, and theatres/clubs. His last release was the well-received jazz-rock CD How’s Now? on the Carleton Sound Label. Billy has added his virtuosity to a variety of musical settings. He has toured and recordesd extensively with the Dave Holland Quintet, Larry Carlton, Chris Botti and with his own ensemble BK Groove. 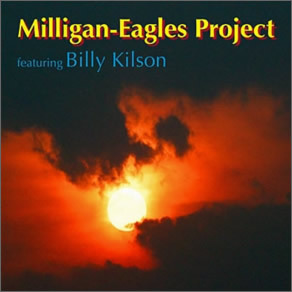 A Grammy award winner for work with the Dave Holland Big Band, Billy’s drumming is ranked highly in jazz polls. While living in Boston, he studied at the Berklee College of Music and with the great Alan Dawson. He has recorded with such artists as Bob James, Dianne Reeves, Greg Osby, Tim Hagens, DD Jackson and Billy Childs. In concert appearances he has performed with Ahmad Jamal, Walter Davis Jr., Mark Whitfield, Cassandra Wilson, Al Jarreau, Donald Byrd and many others. A very versatile drummer who generally plays in advanced settings, Adam Nussbaum is considered a major asset no matter where he appears and one of the finest jazz drummers around. Adam Nussbaum grew up in Norwalk Connecticut and started to play drums at age 12 after studying piano for 5 years, also playing bass and saxophone as a teenager. He moved to New York City in 1975 to attend The Davis Center for Performing Arts at City College. While there he began working with Albert Dailey, Monty Waters, Joe Lee Wilson, Sheila Jordan and he played with Sonny Rollins in 1977 in Milwaukee. In 1978 he joined Dave Liebman’s quintet and did his first European tour with John Scofield. During the early eighties he continued working with John Scofield in a celebrated trio with Steve Swallow. In 1983 he become a member of Gil Evans Orchestra and played with Stan Getz as well. He later joined Eliane Elias/Randy Brecker Quartet, Gary Burton, and Toots Thielemans. In 1987 he began touring with the Michael Brecker Quintet. In 1988 they recorded the Grammy winning Don’t Try This At Home. During 1992 he was part of the Carla Bley Big Band and that same year John Abercrombie hired him to complete his organ trio with Dan Wall. Since then he’s keeping active with Abercrombie, Joe Sample Trio, James Moody Quartet, We Three (w/ Dave Liebman & Steve Swallow) and an active freelance schedule. Adam has taught as an Adjunct professor at New York University, the New School and State University of New York at Purchase. He’s also done clinics and master classes around the world.